Asparagus, Basil, Grape Vine, Pepper and Tomato. 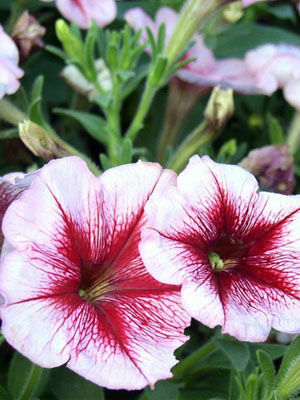 The most vigorous petunias like to sprawl, so they make great foreground plants for upright neighbors like sunflowers or zinnias. They also make excellent flowers for mixed containers.